Find out how you can get discounts in Mote Park. 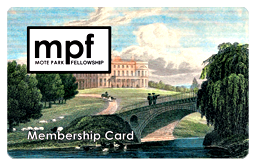 The Mote Park Fellowship are committed to safeguarding and preserving the privacy of our visitors and members. Information provided voluntarily by you, for example when you register for our newsletter or to request to join as a member. We may gather information about your general internet use by using the cookie. Where used, these cookies are downloaded to your computer and stored on the computer’s hard drive. Such information is anonymous and is only statistical which does not identify any personal details whatsoever. You can adjust the settings on your computer to decline any cookies if you wish. For more information please read the advice at AboutCookies.org. We never give your details to third parties. Volunteers who participate at our events will be asked to complete an emergency contact form. This information is submitted to us voluntarily, is stored securely by the group Secretary and is only used in the case of an emergency. In such a situation, your information may be shared with the emergency situation and group leader on the day.